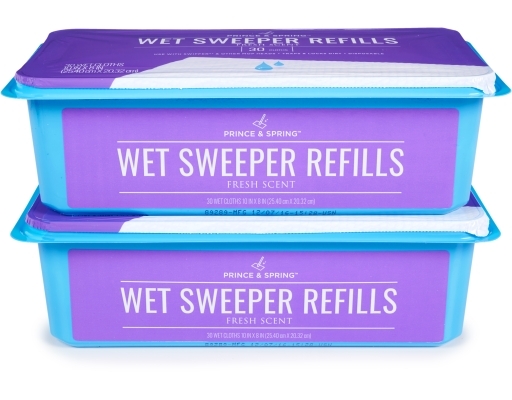 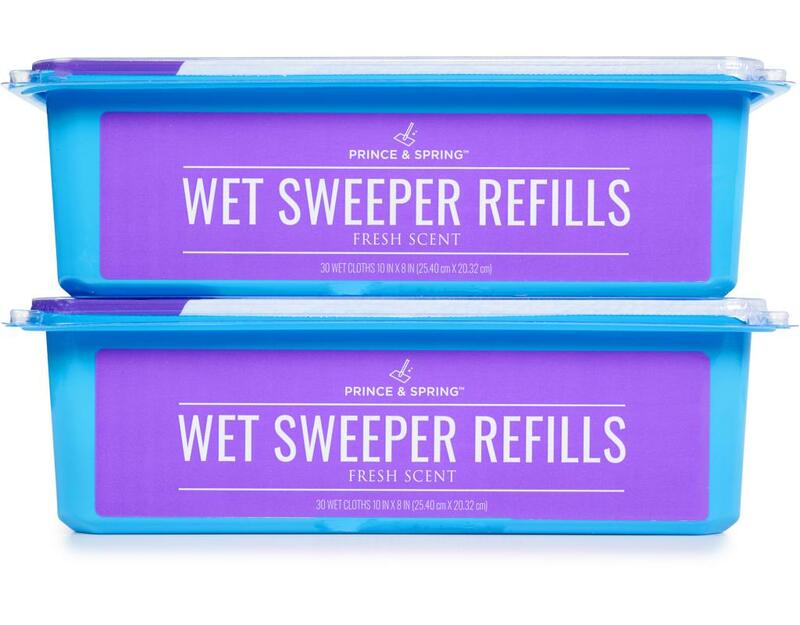 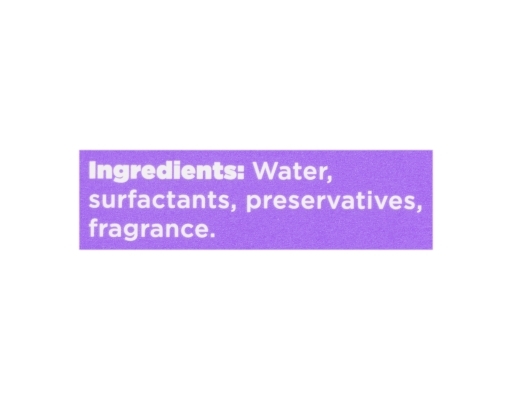 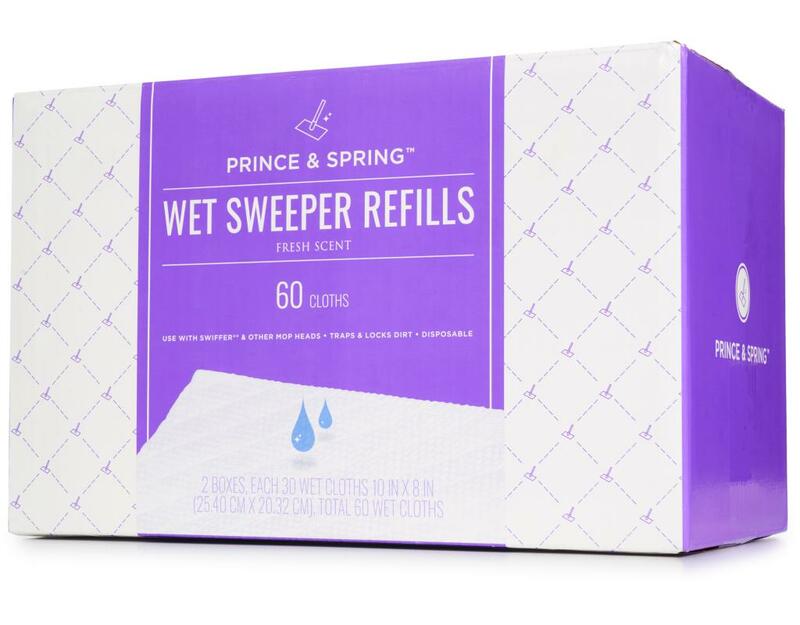 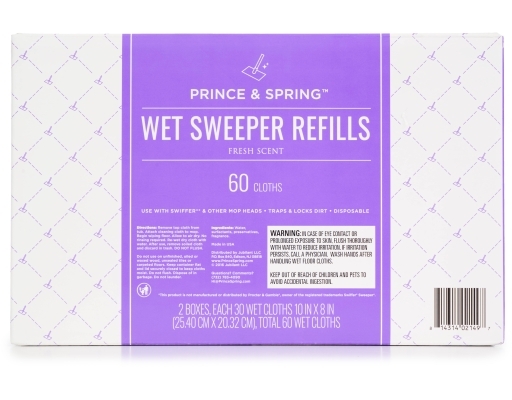 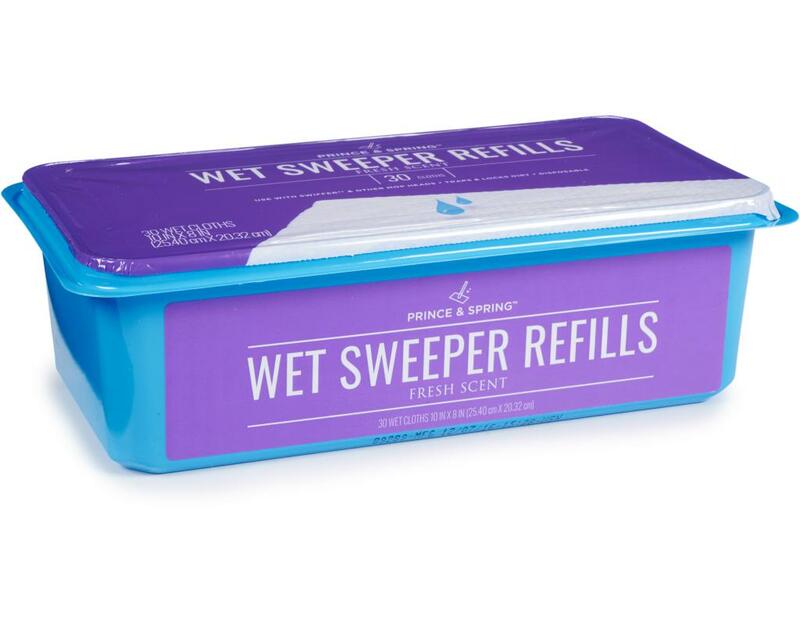 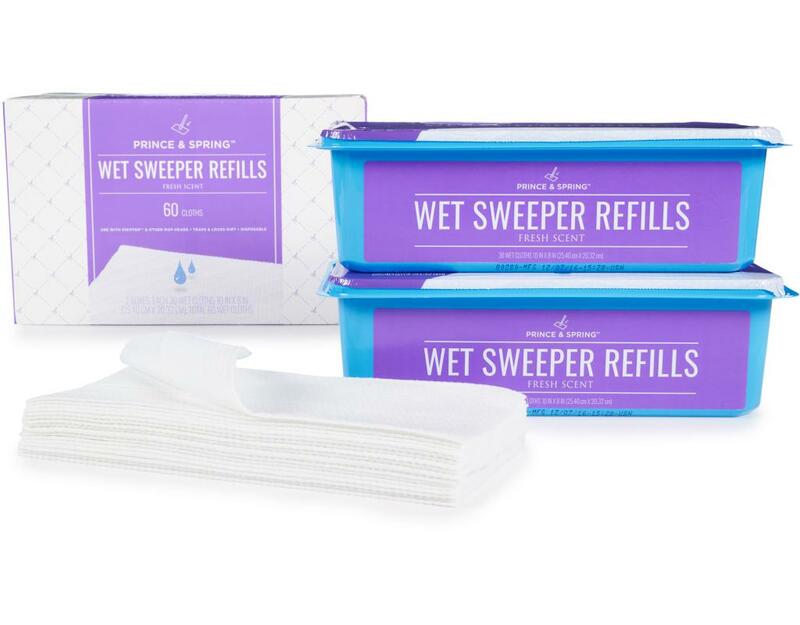 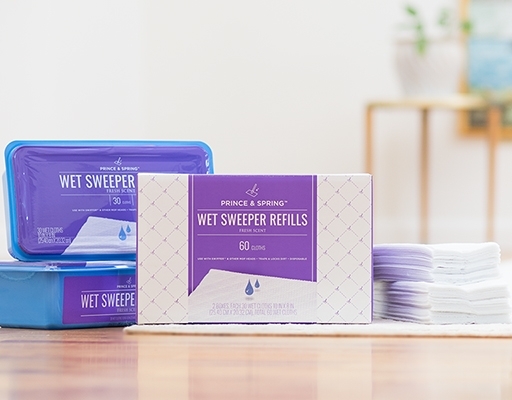 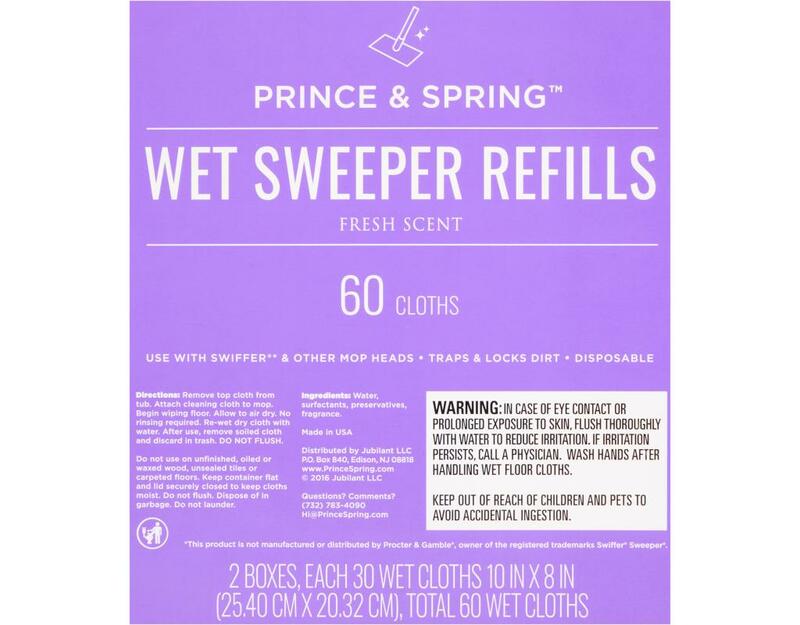 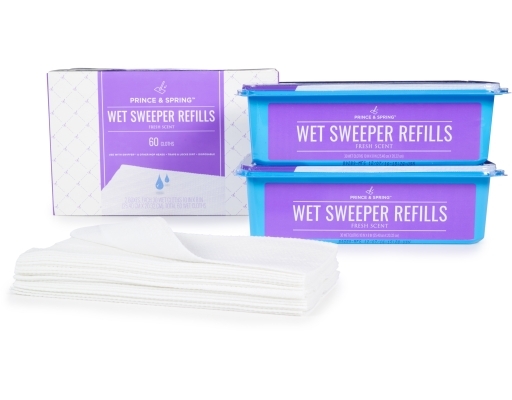 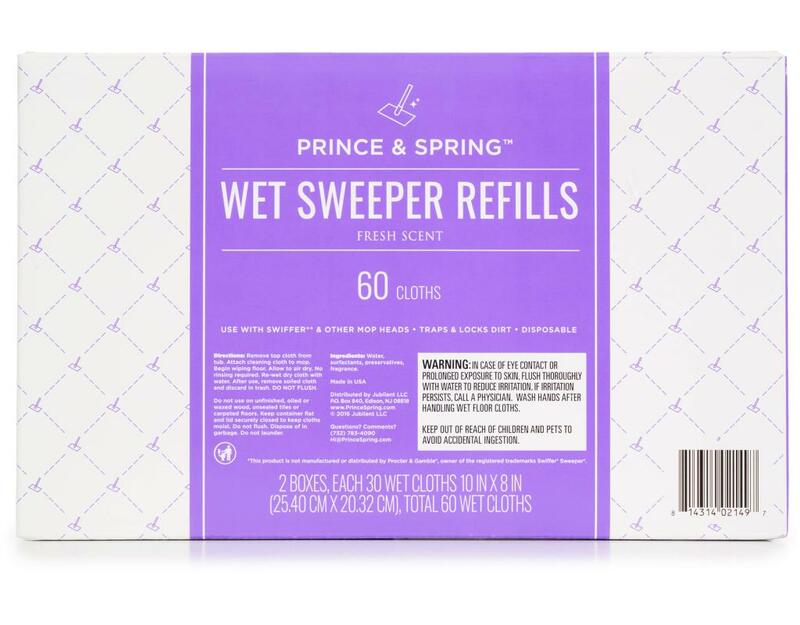 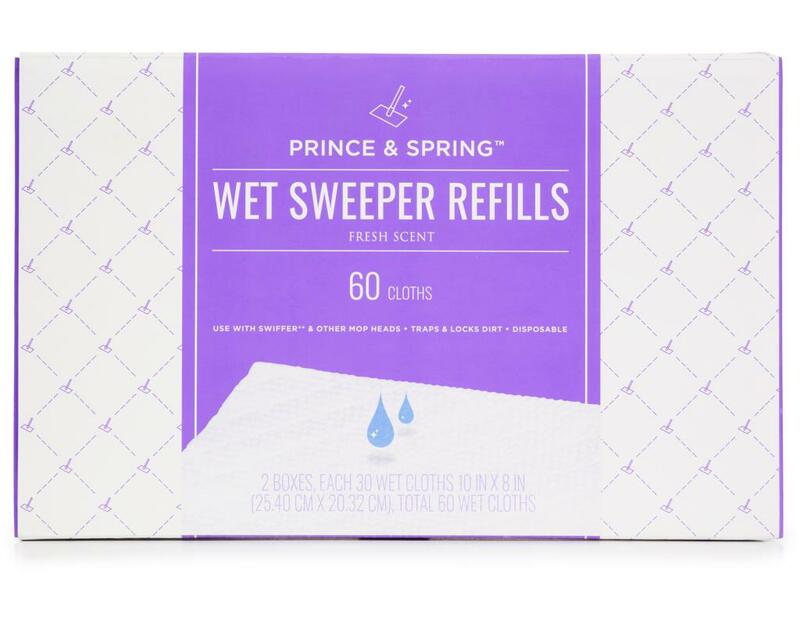 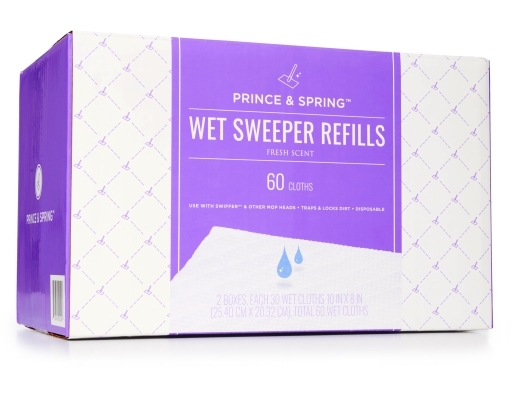 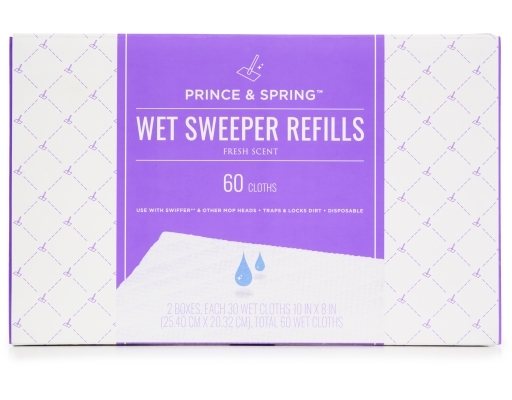 Do yourself a favor and stop constantly wringing out your mop, endlessly changing out dirty water and start using Prince & Spring Wet Floor Cloths. 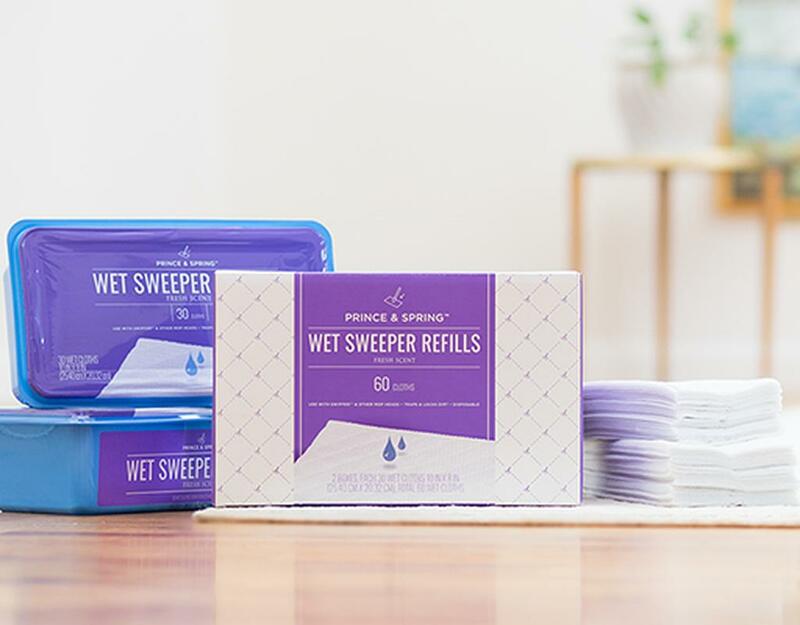 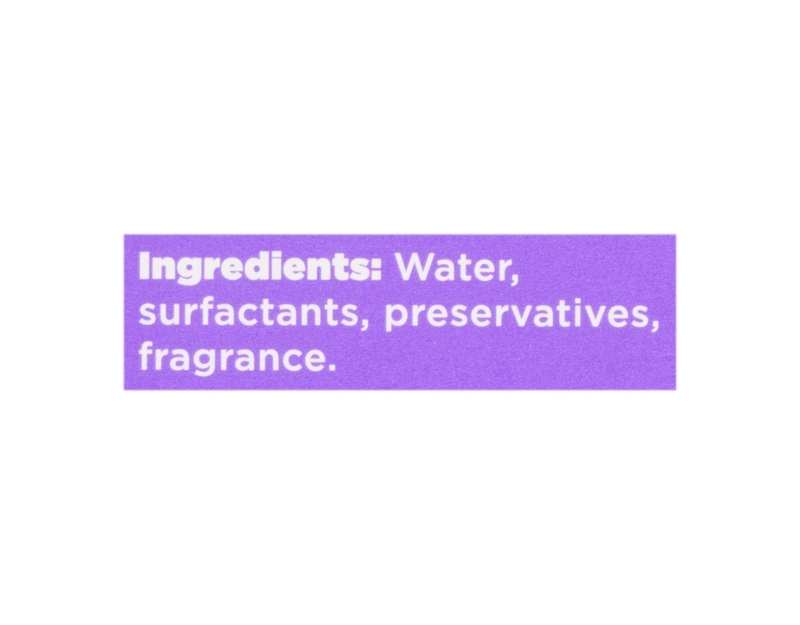 Unlike your traditional mop, our textured cloths trap and lock dirt instead of pushing it around and the fresh scent will keep your house smelling wonderful. 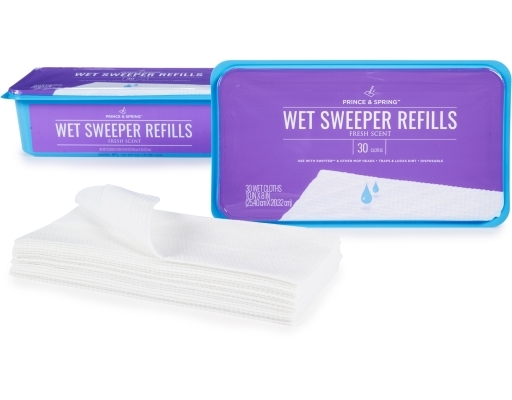 Safe to use on all finished floor types, these mops will wipe out of the competition with one sweep. 2 x 30 Count Wet Cloths | 10" x 8"